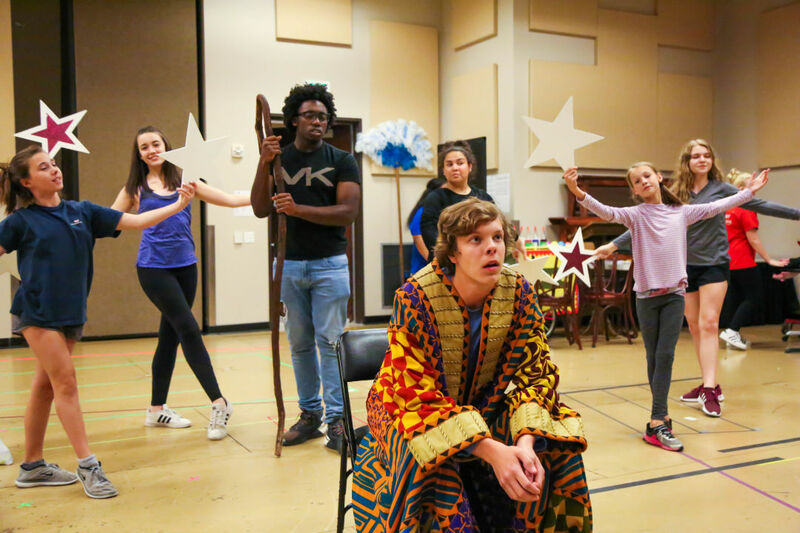 The cast of Joseph and the Amazing Technicolor Dreamcoat rehearse. Another classic tale bounds onto the Miller Outdoor Theatre stage, as the students from TUTS’ Humphreys School show their stuff in Andrew Lloyd Webber and Tim Rice’s bouncy, colorful musical about a guy with a knack for interpreting dreams. 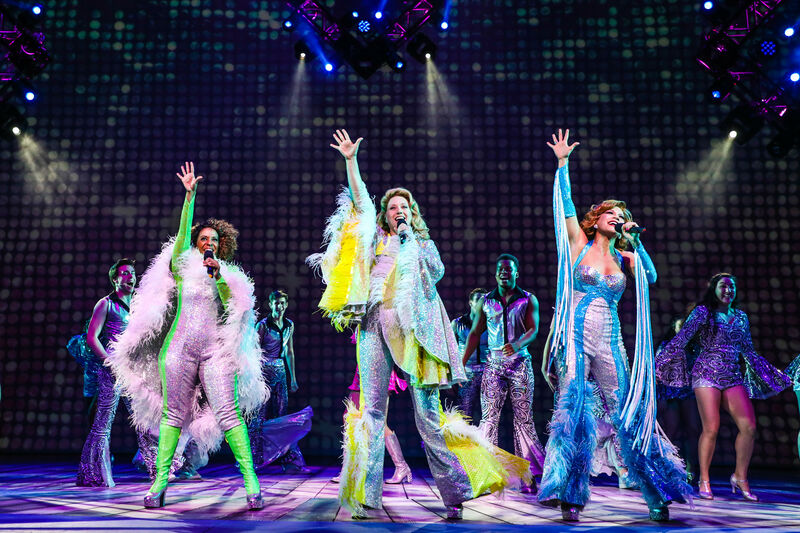 “It was written to be relatable and joyful, and Andrew Lloyd Webber succeeded in that,” says director Rachael Logue, who shepherds the cast through the nearly 50-year-old show. 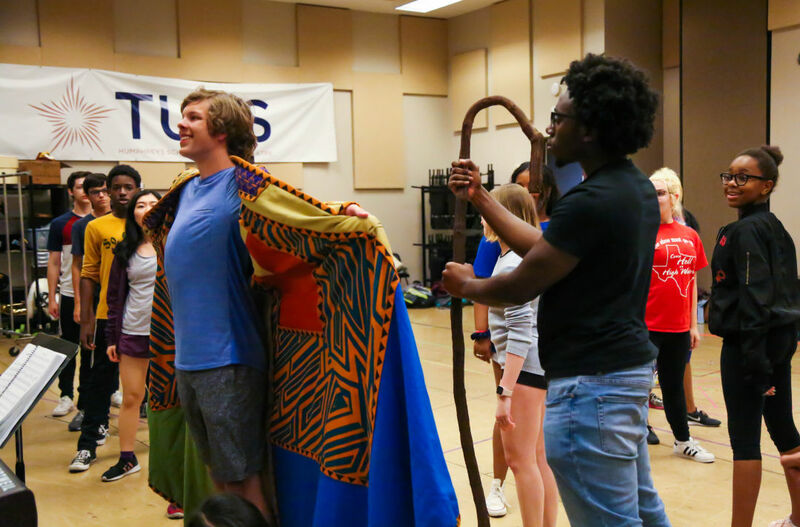 Joseph and the Amazing Technicolor Dreamcoat was originally written as a commission for a school concert when Webber and Rice were 20 and 23, respectively. 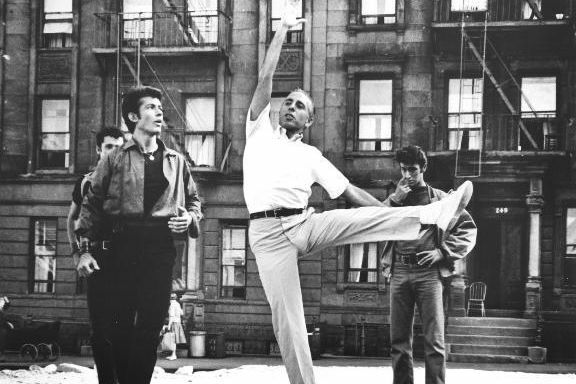 Between that first 20-minute performance in 1968 and the show’s Broadway premiere in 1982, Webber and Rice would become musical theater darlings, penning the music and lyrics for the megahits Jesus Christ Superstar and Evita. 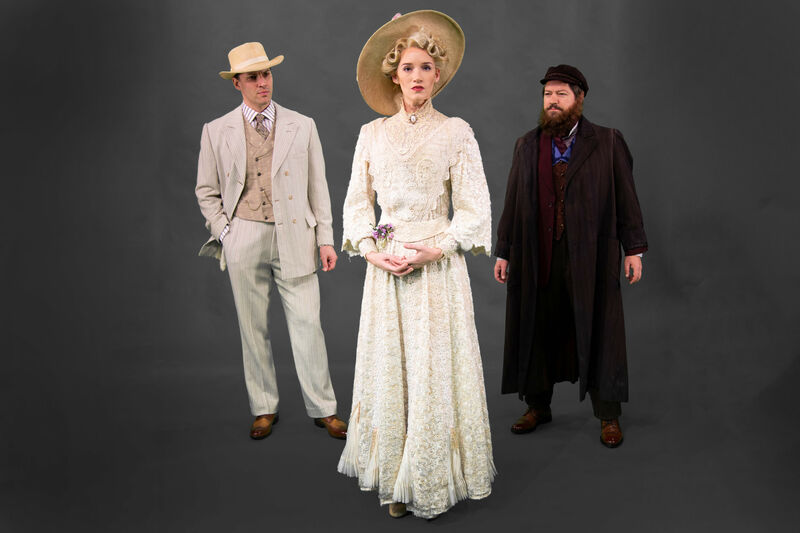 In the half-century since its first notes were sung, Jospeh has become a beloved family show. Based on the story of Jacob’s youngest son from the Book of Genesis, the story follows Joseph as he’s teased by his brothers for his crazy dreams. When Jacob gives Joseph a multi-colored coat, the brothers, in a jealous rage, sell him into slavery, inadvertently catapulting the young man into a series of events that will eventually lead to him becoming a most favored advisor to the powerful Pharaoh of Egypt. The sung-through story is told by a narrator, who moves the upbeat show along. In the TUTS production, she’s played by Kelly Lomonte. The teenager has been on stage since she was 5. Her most recent show with TUTS was this season’s Memphis. (In fact, she had to do her audition for The Narrator during her dinner break during a performance of the musical.) She was also seen in Mary Poppins as Jane Banks and in the ensembles of A Christmas Story and Oliver. As she enters her senior year of high school, the home schooler is looking to audition for musical theater programs. Doesn't that technicolor coat look pretty....amazing? 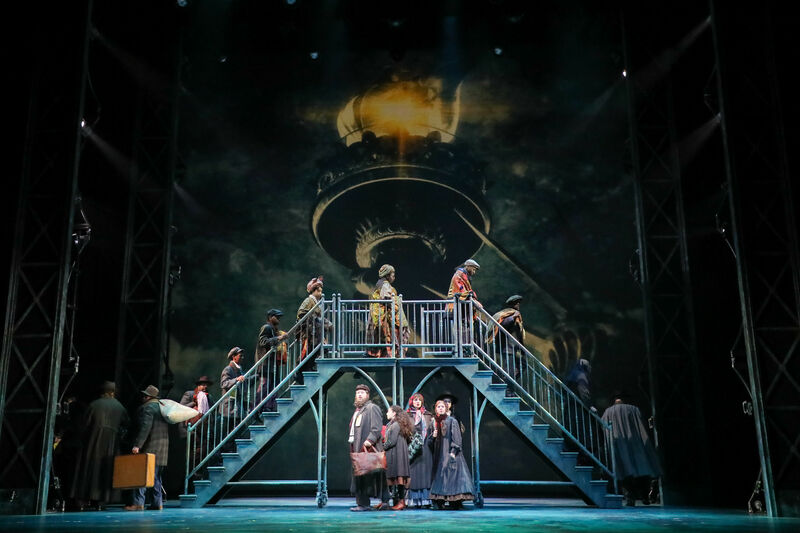 Logue first saw Joseph when she was a girl, and while recent mountings of the show have included pyrotechnics and a lot of glitz, Logue is looking to do something less bombastic, but equally memorable. The result is a production that incorporates everything from a massive Etch-A-Sketch, huge books, and an adult tricycle. She doesn’t want to give too much away, but hinted audiences might even see a camel. Working with a cast that ranges in age from 9 to 18, Logue said she needs to be flexible in terms of explaining things in ways they’ll understand. But she’s also excited to watch the students approach their craft. “They are all so excited to dive into their characters and take risks—its feels like a more pure version of the art form,” she says. Lomonte says she hopes the audience has fun at the show but to also remember the musical’s larger message. “Joseph is all about following through with your dreams. It is important that no matter your age or circumstance people should believe in their dreams." June 6–9. Free. Miller Outdoor Theatre, 6000 Hermann Park Dr. 713-558-2600. More info at tuts.com.